The grill of your Jeep Grand Cherokee takes a beating from bugs, dirt, gravel, maybe the occasional low-flying pterodactyl (we think that's what that roadkill was). If yours is cracked, broken or just plain unsightly, replace it with the black grill from the Grand Cherokee Altitude Edition. 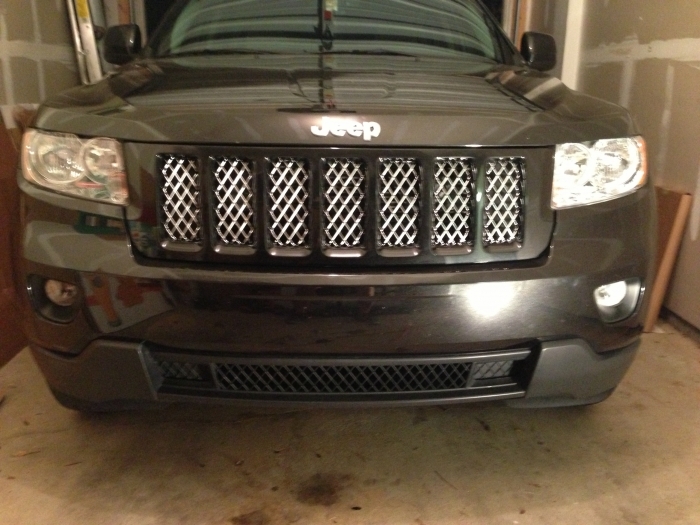 Whether you're restoring your Altitude Edition to original looks or choosing a new blacked-out look for your other Grand Cherokee, you know this grill will fit because it's a factory part. It's available in black or the glossier brilliant black. This item arrived very quickly, and looked great! We are so happy with how it looks on my husband's white Grand Cherokee Limited.